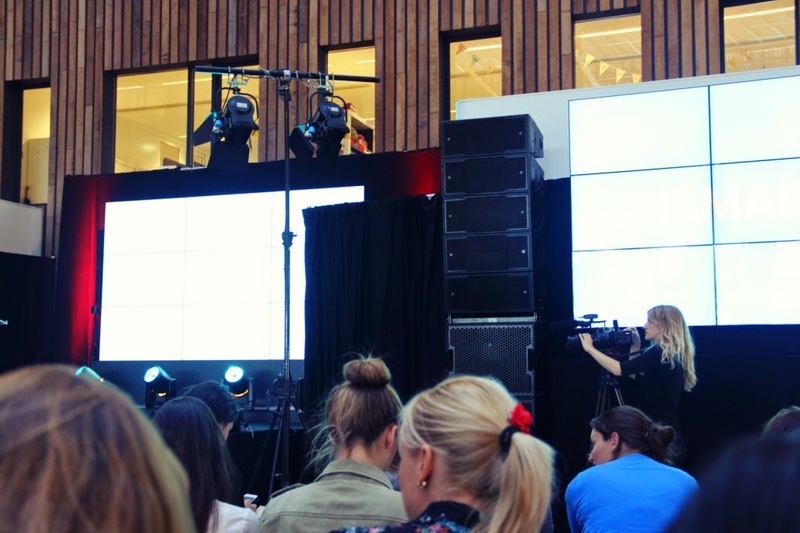 Wednesday September 10, I went to the HEMA Blog Academy at their head office in Amsterdam. HEMA is a Dutch shop and they sell basically everything, from fashion to beauty to room decorations to food to their online photo service. Think about it and they have it. Now HEMA will be having their very own blog page and I already published my first article on their blog! Don't forget to follow me on Twitter so you are first to know when I published more blogs on their blog! When we entered the building it was huge! 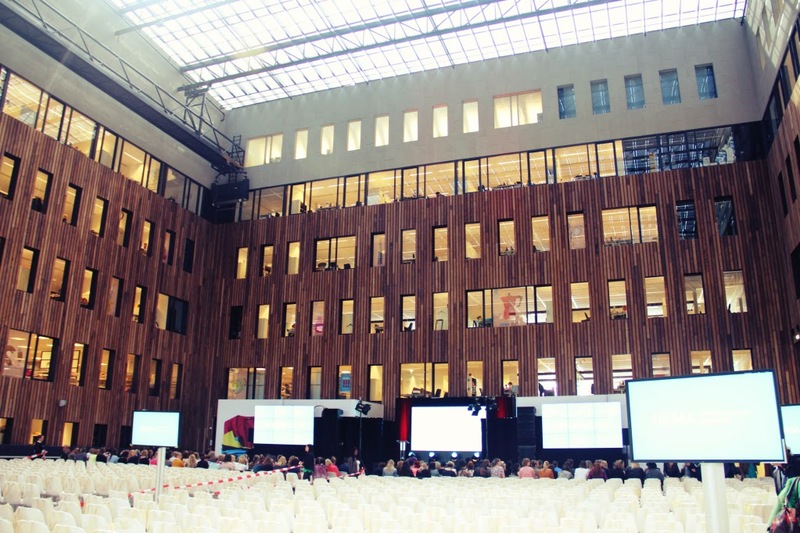 I didn't expect such a big hall in the HEMA head office. There were many screens so everyone could see what was happening, but I was almost in the front so I could see everything without looking on the screens. There were 1000 bloggers. All of them may write for HEMA, if their blogs are judged to be good enough. 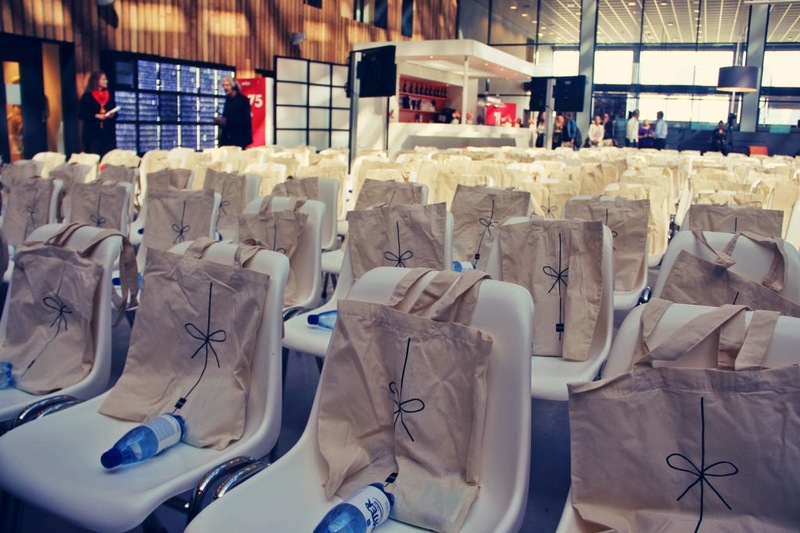 We all got a goodie bag with a notebook, bottle of water, pen, some chewing gum and information papers. In the break we got something to drink as well and there were some snacks, unfortunately they were already gone when I arrived at the table. We all got the chance to see some of their newest products and the day was opened by the CEO, followed up by the head of E-Commerce. We saw their newest commercial and it looked really good! 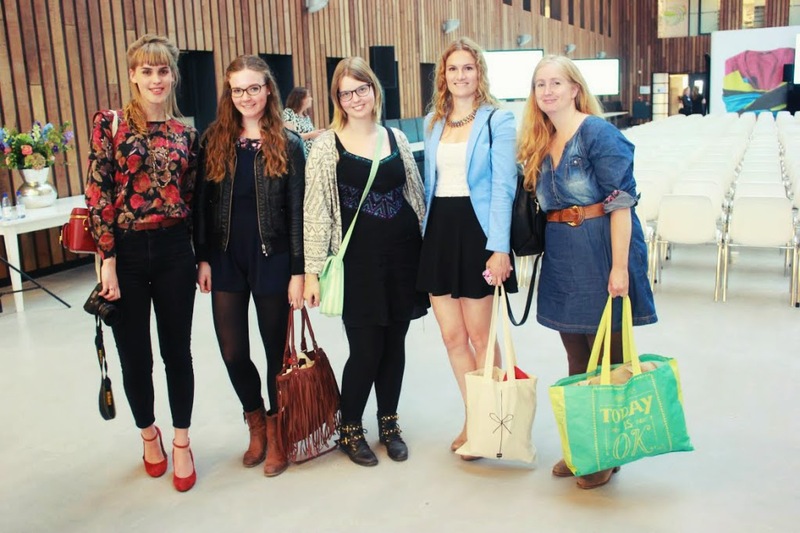 Then the blog academy really started with an interview of 5 bloggers. There were a lot of questions and HEMA announced they were having 22 bloggers in their blogger team. The most interesting part to me was the story of Yara Michels from Chapter Friday. She won the Bloglovin' awards this year and just arrived from New York fashion week. She gave us some tips, but I actually did not learn anything new. I think there are a lot of people who now how to blog, but the practical work is what's most difficult and Yara just rocks the practicals. These are the main points she discussed and they are according to Yara the most important factors in building a good and successful blog. I've also met some adorable bloggers! I already knew Claudia from Amsterdam Fashion Week. Make sure to check out their inspiring blogs as well! From left to right: Rowan, Me, Monique, Claudia, Teresa. 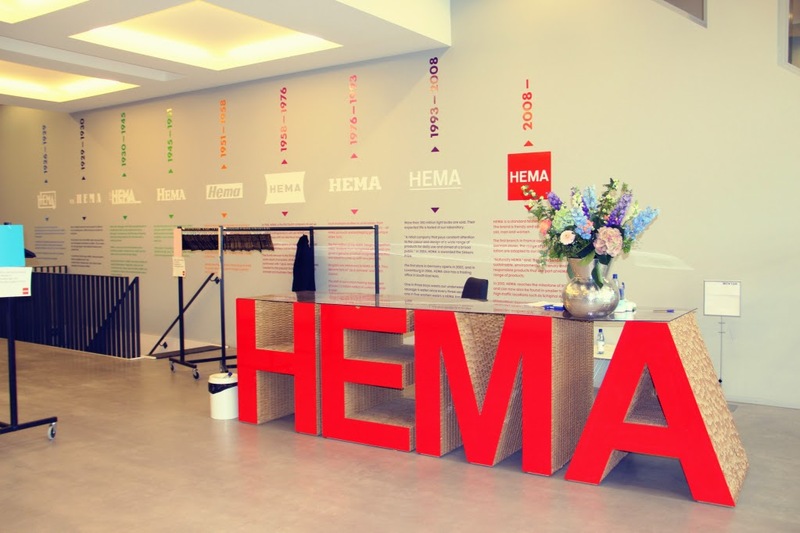 Do you already know HEMA? Tell me your favorite item in the comments! Super leuk dat je hier bent geweest Anne, lijkt me een hele inspriatievolle masterclass. En echt leuk dat je nu blogt voor de Hema. Wat leuk om te leen en wat een prachtige foto's. Wat tof dat je hier heen bent geweest, het ziet er gezellig en leerzaam uit! Zelf heb ik ook nog getwijfeld of ik zou gaan, maar ik heb het uiteindelijk niet gedaan. Mooie foto's ook trouwens, ziet er goed uit! Ziet er super tof uit! Leuk artikel.